Kolkata: The dreams of a young man from Bihar of joining the Indian Army lay shattered after he lost sensation in his left hand owing to “medical negligence” following a surgery performed by a doctor in Kolkata, his family claimed. “I was preparing for my physical examination after clearing the written one, to join the Army. I was running and I slipped and fell and fractured the bone in my left arm. The first two surgeries were done by a doctor of NRS Medical College and Hospital while the third one was at Calcutta Medical College. After the first surgery in January, I started losing sensation in my fingers and gradually my hand became numb,” Mr Sharma told a local television channel in Kolkata. “I have been asked to undergo physiotherapy and come back for a fourth surgery, if required,” said a helpless Mr Sharma draped in an arm sling. According to the young man’s uncle, upon further examination, it was discovered a nerve had been damaged during the first operation. 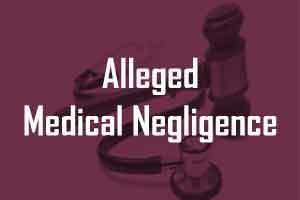 “Another doctor showed us an MRI scan and told us there was medical negligence. The nerve was damaged in the first procedure. The first doctor who we had consulted claimed the surgery that he would perform was the best,” the uncle said.